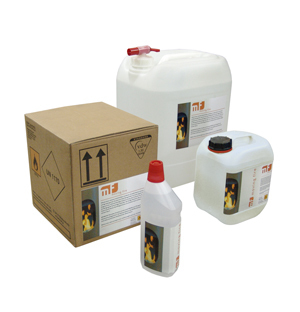 1 box 12 x 1 l.
Our combustible Bio-alcohol is a complete biodegradable and neutral combustible. BIO-FIRE can be used in all stoves without chimney and exhaust connection. You should ventilate the room as usual. As you don’t need a chimney, you get a better output of warmth because in this way no warmth is lost. Our Bio-alcohol only causes water steam and a small amount of carbon dioxide. Bio-alcohol allows to place our stoves moving fire without chimney everywhere you want. 1 liter, 5 liters, 10 liters or 25 liters.